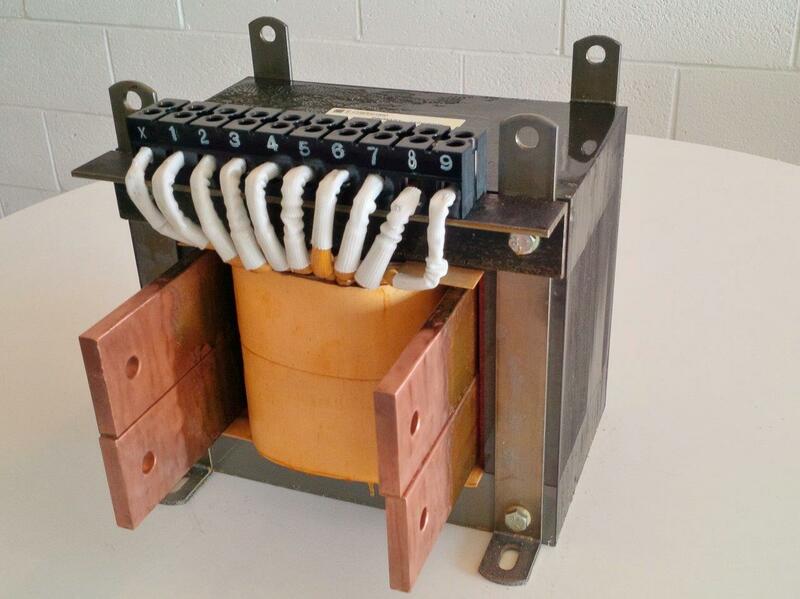 This Multi-Tap Step-Down Power Transformer is 240V, 60Hz fundamental input with a total of 9 incremental taps yielding 2.0-4.0Vac @ 5kVA (1250-2500A). Low loss 29M6 Electrical Grade Steel core with 8AWG heavy copper windings (MW-36C) Class H (180C) insulation. 90lbs.